The new year will likely bring more talk about SEO than last year. Like others, we keep an eye on different solutions for search engine optimization. As we noticed last year, you liked the articles about the most popular modules in one or another context of software. 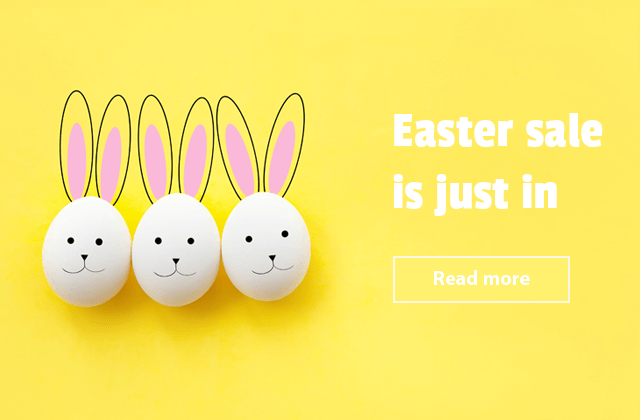 And today we’d like to draw your attention to SEO plugins for Magento 2. Top SEO modules will help you to cover the possible issues when driving organic traffic to a website. Continue reading. 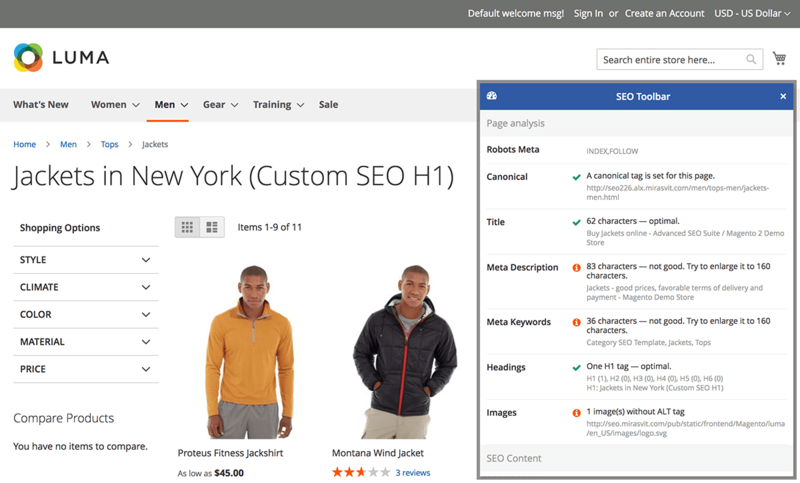 The SEO Suite isn't merely an SEO plugin for Magento 2. It is a toolkit that includes 9 powerful tools for search engine optimization: HTML Sitemap, Regional URLs (hreflang), SEO Canonical URL, Metadata Templates, Rich Snippets, SEO Pagination, SEO-friendly URLs, XML sitemap, SEO CrossLinks. HTML Sitemap is very important not only for SEO but for user experience first. The default Magento doesn't provide the feature, so with SEO Suite, you know how to create HTML Sitemaps and how would that help your website. Other modules of SEO Suite toolkit come with a set of the advanced SEO techniques to make your pages rank in SERPs. Use a short guide to define effective SEO practices and see what of them actually work. Free installation. Total cost 79$ with unlimited access to 70+ extensions and templates for M1 & M2. So here's another example. SEO Extension for Magento 2 with nice features of SEO tools as Canonical URLs, HTML and XML sitemap, Hreflang Tags, Rich Snippets, Robot file settings, Meta Tags. The module also provides Open Graph and Twitter Cards for social sharing that leads to a better sharing of links from a website on Facebook and Twitter. That helps to improve search engine optimization in Magento 2. Through SEO 301 redirect for product page feature, you will deal well with crawl errors. In other words, you will prevent users coming to your “404 not found” page. Free installation. Total cost 119$. We believe the next toolkit will also help you to get answers on how to improve google search results. SEO Toolkit consists of 6 SEO extensions: Meta Tags Templates, Rich Snippets, Cross Linking, Unique Product URLs, HTML Sitemap, XML Google Sitemap. Among crucial settings for great SEO performance, you can also see the advanced Pagination and Redirects feature. That helps you to avoid broken links and improve your store indexing. We would like to note one more cool thing in SEO Toolkit. Now you easily make one-click SEO analysis for any page of your store just to know the page effectiveness. The module enables SEO Toolbar button to help you see the detailed SEO statistics in a lightbox. Paid installation. Total cost 249$. Find out more. Thanks to the Magento 2 SEO extension , you get an opportunity to solve some SEO challenges. The module will help you to prevent the duplicate content problem, set metadata information, create XML and HTML sitemaps and add structured data. There are also additional SEO improvement techniques such as Crosslinks feature and Hreflang tag. Another one is the SEO report feature to help you get an overview of how your Magento 2 website is performing in search engines. 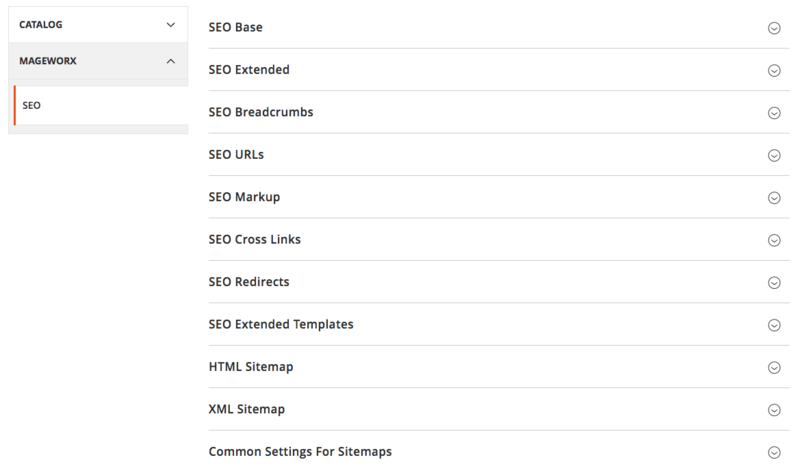 Magento 2 SEO extension also provides you with a page analysis tool. Now admins can preview Google search results (Rich snippets) in the backend without submitting data to search engines. Paid installation. Total cost 199$. Advanced SEO Suite is one of the top SEO toolkits worth your attention. It offers too much SEO Techniques to help you double search traffic in 2019. With the extension, you will create advanced SEO templates, generate advanced Sitemap for Google in HTML/XML format, configure Canonical URL Tags, manage cross-links, get rich snippets, integrate store pages into the social graph, create SEO-friendly URLs for layered navigation links and product images. 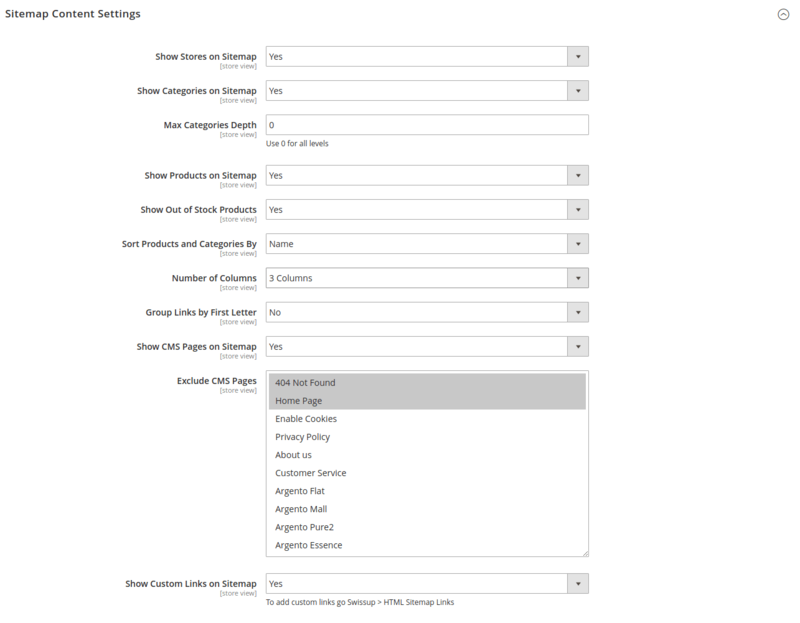 The module also provides a Rewrites Management for meta tags of product and category pages. The rewrite rules allow configuring meta tags, H1 headers and SEO description for any store URLs. Via the Advanced SEO Suite extension toolbar, you will review the results of every page optimization process. Paid installation. Total cost 149$. SEO Suite Ultimate extension greatly improves the default Magento with lots of helpful options. Among feature highlights, you can see Rich Snippets, Canonical Tags, SEO Meta Template, XML and HTML sitemaps, and cross-link. The module functionality will also help you to avoid losing customers by sending them to deleted product/404 pages, optimize pagination pages, control search engines indexing with meta robots tags, and add custom permanent (301) or temporary (302) redirects from/to any store page. 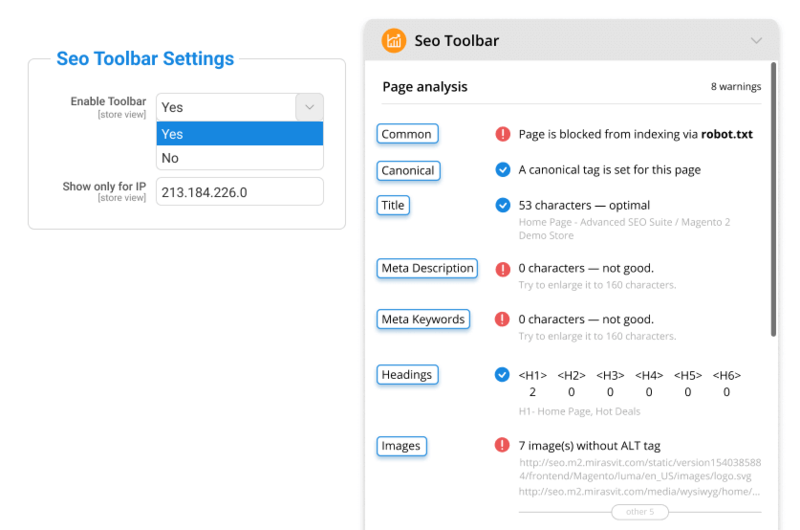 SEO Suite Ultimate extension simplifies doing SEO for category filter pages. With the module, you'll improve pages filtered by layered navigation. It's one more way to go to optimize your website for better SEO results. Paid installation. Total cost 299$. CreareSEO 2.0 extension is the last search engine optimization tool in our list. However, you would get the benefit of the SEO value once you got the settings of the module. First, the module provides a set of configurable templates for adding meta descriptions to every page with ease. 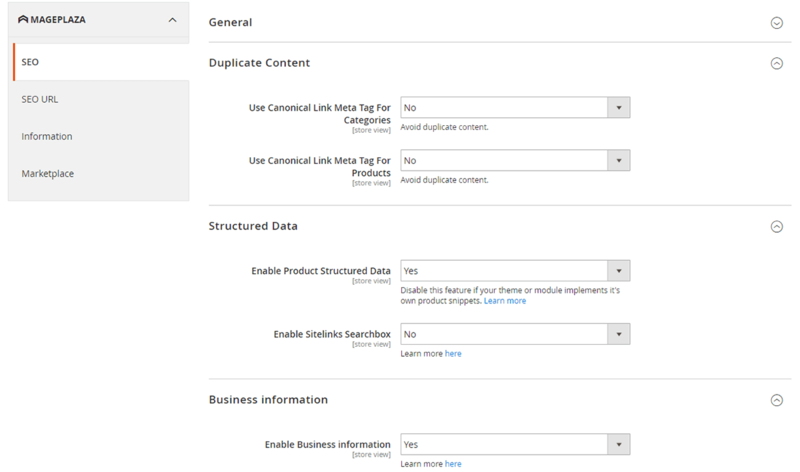 You also get a full set of tools for preventing a duplicate content: Canonical Product URLs, Canonical tags for CMS pages, NOFOLLOW on search result pages as well as on layered navigation filtered pages. What we like in CreareSEO 2.0 extension is a Google service integration. The developers accommodated some features to help you boost the website ranking on the world’s leading search engine. Paid installation and total cost are available upon request. What should your SEO toolkit consist of? Those were SEO extensions Magento 2 you wish you knew when facing SEO challenges. Even being an SEO noob, now you have more chances to find a solution provider who would plan SEO strategy together with you. We hope this article gave a few useful tricks on how to seo a website. It's up to you to decide what SEO toolkit should include. It’s kind of a game of finding most suitable tools to your website challenges. Even so, we are totally ready to take on next year with new ideas and solutions. The writing of articles could be valuable in solving SEO tasks, and not just them. With this in mind, your feedback is extremely important. Would you give us some comments on this post? What else you're interested in? February 11, 2019 Roman B.